I am usually all about the educational value (and cost of course) of apps. But no kindergarten teacher should ever discount the power of play. Building relationships, decision making, and creativity are key developmental areas that should be addressed in kindergarten. They often get brushed aside in the rush to meet standards and prepare children for first grade. My teaching career started in 1998 at the Cooperative Children's Center in Seattle, WA. It is a parent owned childcare center started in the 70's by University of Washington parents and continues to value parent involvement, an anti-bias and emergent curriculum, and teachers and parents utilize positive discipline strategies. At the Co-op I learned about NAEYC standards (National Association for the Education of the Young Child) and DAP (developmentally appropriate practice). During my time there (I said goodbye for the last-time in 2003 and I still think fondly of the staff and families I came to love) I saw the power of child directed play and learning experiences based on child interest and not a prescribed curriculum. I've been working in Preschool and Kindergarten in a school district setting since 2005 and I have felt the pressure of meeting standards and teaching children of all abilities. I have felt the need to make my classroom look and act like first grade so parents and administrators trust that I'm adequately preparing the precious darlings entrusted to me. Focusing on phonics, handwriting, counting to 100 seemed the right thing to do... but what about play? Creativity? Social skills? Vocabulary development and conversation? All teachers complain about not enough time in the day to teach everything necessary. I have the luxury of teaching all day Kindergarten but it still feels like there's not enough time to fit in "academics" and play and do justice to both. I was reminded today of a phrase I focused on during my quest to complete my Masters and National Board Certification. Purposeful teaching, powerful play. NBCT's know any lesson is not complete without asking the question- what is the impact on student learning? No matter how fun, engaging or just plain cool an activity is, you are wasting your and student's time if you haven't considered just what the impact on student learning will be. You don't even have to make changes usually (although often I tweak a lesson once I consider the question) to your activity. Simply asking yourself how can I be purposeful while teaching this lesson helps you look for opportunities to ask meaningful questions, guide play, and build on student interest to make a powerful learning activity rather than one that was 'fun'. When play is approached purposefully academics naturally fits in. So I think my soliloquy is done. When I started this post I was going to share some 'fun' apps that I believe could benefit your classroom. 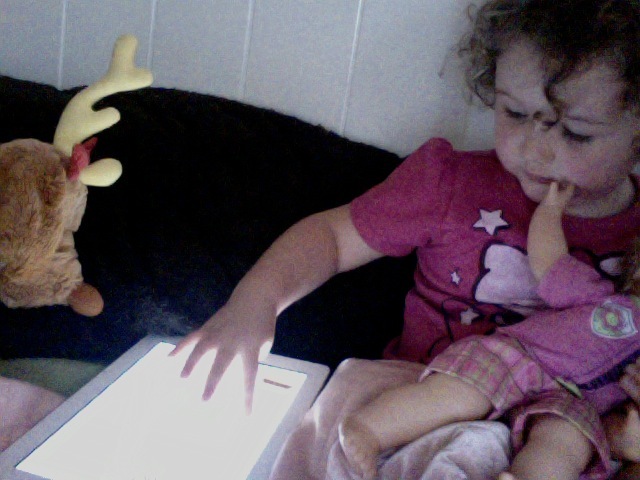 Today I was watching my 3 year old play on my iPad and paid attention to the apps she likes to play with. 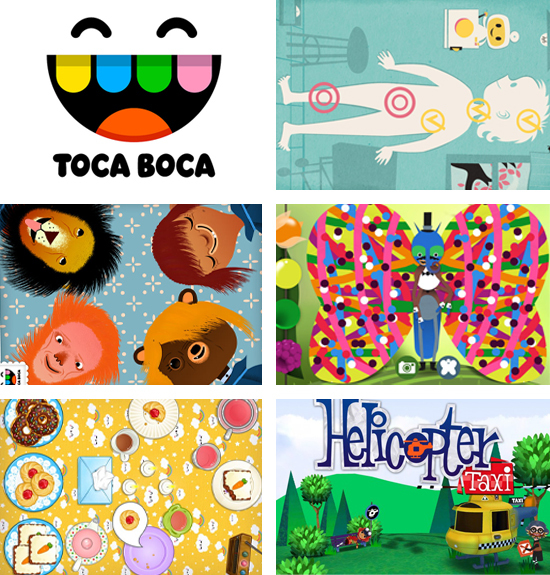 Several of her favorites (and mine too) are made by the app developer Toca Boca (website with videos of their apps). 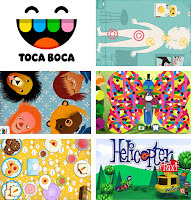 Today I bought the full version of Toca Doctor for her @ $.99- but you can try out the lite version too- she loved it so I decided to pay up!) While I was on a roll I bought the Toca Tea Party for $2.99 (I love tea parties and what a fun way to let Lily play at having one too). I downloaded Toca Hair Salon while it was free awhile back (thanks to Mom's with Apps for their Free App Friday site!) as well as Paint My Wings. Toca Robot Lab is relatively new and I bought it for Lily for $.99 today too. Lastly, I bought Helicopter Taxi (it's just so easy to click install when you have $ in your account!!!) for $1.99. For Lily, I buy things I wouldn't be willing to buy class sets of. I would however recommend at least buying one copy of Tea Party, Hair Salon, and Doctor for your dramatic play centers (I need to play with Helicopter and robot more before I recommend them). You will definitely need to ask your kids to brainstorm fair ways to share the iPads you put it on, but they should also be clamoring for turns cutting yarn hair, playing with doctor tools and setting up a tea set. Doctor has little puzzles and activities that have children pick an area of the body to fix. I would love if the app had an option to turn on verbal labels- such as stomach, wrist, and maybe count how many slivers are taken out. But again, this is where the teacher/parent should come in- be there while your child plays and create opportunities to learn through play. I do have Hair Salon on my class iPads and the kids LOVE it. And honestly, so do I! They make funky hairdo's, show off their creations and talk about the choices they make. You can use vocabulary like short and long, talk color choices (what nice blue and gold hair you've colored there!) and discuss symmetry and asymmetry. Speaking of symmetry, Paint My Wings is another favorite of my kinders- and is good for discussions about color and examples of how butterfly wings have a line of symmetry. Here's an idea for you teachers with one or a few iPads, or for when you've only bought one copy of an app. During centers put an iPad in the housekeeping center that kids will use "housekeeping" folder apps with. Put one at the math table with math apps, including some of the fun math apps. In your construction corner put the iPad with a build folder with angry birds, toca robot and more. Encourage the kids to build an example from the game. There are more apps that are playful I could mention by name, but that would require my daughter giving me back the iPad. But she is still playing- and by the way, after cleaning the sugar bugs off the teeth in Toca Doctor she told me she wants to go to the dentist now. Study after study talks about the need for creativity and problem solving skills for successful 21st century learners... can the iPad help with that? I think so. Do you use a stylus with your ipads when the children are learning to write letters?